As a professional makeup artist, I often find myself in corporate settings. That’s where I mostly work with people who are having headshots taken, or are doing photoshoots for annual reports, websites, and corporate literature. It is downright shocking how little most of the men (that I’ve worked with, anyway) know about taking care of their skin. I often have to work harder on my male subjects to reduce redness, tone down flakiness and dehydration, and cover undereye bags and dark circles because so few of them have used a solid skincare regimen before. If these poor guys simply took a few minutes in the morning for some self-care, they would look amazing! For moms in the same situation, I’d developed a five-minute routine, but since most dads don’t want to spend too much time on their faces in the morning, I am making their regimen two-and-a-half minutes long. After I interviewed 15 men and asked them what product they can’t live without and they all said hair pomade, I knew the guys of the world were in trouble. I probed further, though, and found that the second top answer was moisturizer. 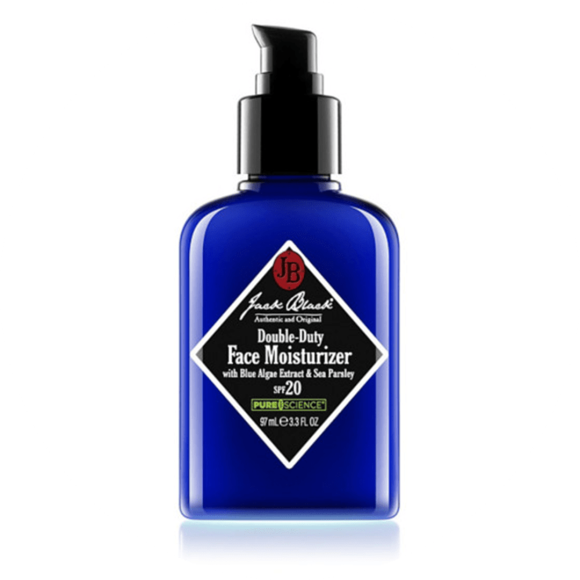 Answers ranged from drugstore brands like Lubriderm® to fancy Jack Black® and Kiehl’s Since 1851® varieties. Regardless of the brand, hydration is imperative for men’s facial skin. While any moisturizer will do, it doesn’t hurt to use one with retinol, as Dr. Brooks mentioned (just be sure to pair it with a sunscreen, as this ingredient may cause photosensitivity). Men can also look for other anti-aging ingredients meant to hydrate and plump aging or damaged skin, such as hyaluronic acid. The only thing to consider is to make sure that the ingredients don’t cause too much irritation or redness. “Men have to be more careful than women with products that might cause redness or ruddiness, as unlike women they cannot cover with makeup like women can.” Brooks points out that because men often don’t reach for concealer (though they should — more on that later), it’s especially important to be careful when selecting products. We’re fond of Dr. Dennis Gross Skincare Ferulic + Retinol Anti-Aging Moisturizer ($75) as it combines hydrating hyaluronic acid, skin-smoothing retinol, and a bevy of antioxidants to keep skin radiant and nourished without irritating it. This lotion provides sun protection while simultaneously adding hydration and improving skin’s appearance. Fronzyk personally noticed that his skin looked much better after using this product. Like him, you may be able to skip a step if you can find a moisturizer that you like that has sunscreen in it (making your morning routine even faster!). If you prefer to keep your two formulas separate, allow around 30 seconds between applying moisturizer and sunscreen. That way, the former will have time to fully absorb into your skin. This step is truly important. Both genders have very thin, delicate skin around the eyes that often is the first part of the face to show signs of aging. Many believe that men look distinguished and attractive with crow’s feet, but even if lines are not a concern, it’s a necessity to hydrate and treat the eye area. That’s because puffiness and dark circles can make men look older than they really are — as well as reveal how tired and stressed they are. Whatever eye cream you end up purchasing, don’t skip using it: this step takes 30 seconds or less in the morning, and the results will show within days. This shouldn’t even take a whole 30 seconds, but it’s a valuable step to remember. Men are just as prone to chapped lips as women are, if not more. After all, women often use hydrating glosses and lipsticks during the day, and are more likely to use lip scrubs at night. So for many men, a lip treatment is their only hope for not walking around with a sandpaper-y mouth. Instead of a standard balm, choose something hydrating that will treat dryness. 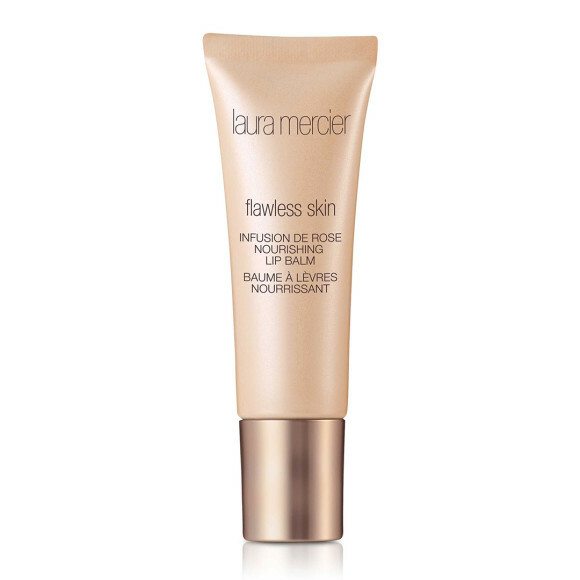 Richard Sugarman, of Hartford, CT recently revealed to me that he had stolen his wife’s Laura Mercier® Infusion de Rose Nourishing Lip Balm ($24) and loves it. This type of treatment is wonderful because it is infused with both healing oils and a little bit of an exfoliant to scrub away dryness. The great thing about this product — and most lip treatments developed specifically for men — is that they won’t leave lips with a greasy shine that screams “lip gloss!” Most guys will be happy with a little bit of soothing hydration without looking like they are wearing makeup. If there is one step that makes the most difference when it comes to looking awake and alive, it’s undereye concealer. This is admittedly not part of a typical man’s morning routine, as it definitely falls into the category of makeup. Yet, I find that when I apply concealer to my male clients who are having a photo taken, they are thrilled with how good they look — and the concealer is not noticeable at all if the right product is used. While this might be a step you only take when you have extremely dark circles, it can make a world of difference in your appearance and how you present yourself to the world. 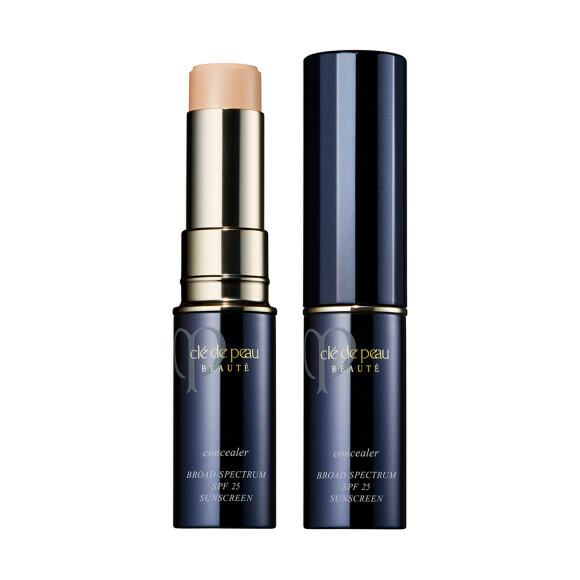 If you have a big meeting, an important interview, or another event that requires you to look well-rested and stress-free, consider applying a bit of concealer. The best way to get natural-looking results is to ask for a sample of a formula in your shade at a makeup counter, then mixing a dab of it with your aforementioned eye cream. This will essentially just give your eye treatment a little bit of a tint that will minimize darkness without being noticeable. You won’t really be wearing makeup — you’ll just have added a little pigment to your men’s eye cream. Your secret is safe with me.